Spectacular Panoramic Kakaako and Ocean Views!!! 36th Floor highly desired 08 end unit in the East Tower! 3 Bedroom 2 Bath w/2 side by side Parking stall included ! 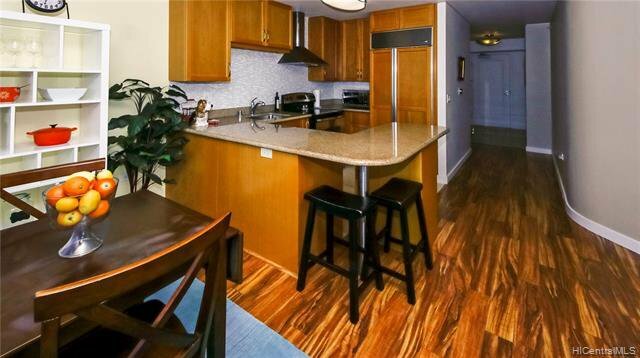 Kitchen has beautiful back splash and upgraded Laminate Flooring throughout entire unit, in excellent move in condition. 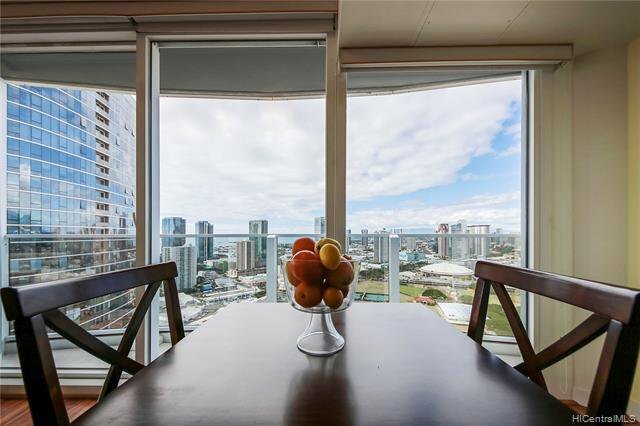 Such a choice location in the building with views from every room from Magic Island to downtown Honolulu. Amenities galore: One of the largest recreation decks in the area swimming pool, party room, private theater, fitness room, tennis courts, golf cages, putting green, children’s play ground...much more. Two additional separately deeded parking stalls available for purchase with the unit for an additional fee. A must see- call today. Listing courtesy of Vonlin Hawaii Real Estate. Selling Office: BHGRE Advantage Realty.